For those of you that have never been to Copenhagen, I will tell you right now that it is the city of babies. Babies absolutely everywhere. Prams, buggies, strollers, snugglies – you can’t go for a walk around the block without running into a least one cool mom and her perfect little progeny. Then my friends caught the bug. My friends? Is it really that time already? Aren’t we still 18? I guess not. I guess it’s time I actually start thinking about the not-so-distant possibility of starting a family (mom, dad – STOP freaking out. I am not trying to tell you anything…). This is a very exciting prospect of course, but there are so many questions swirling around in my head about where to begin. A while back a very cool lady named Natalie wrote to me. 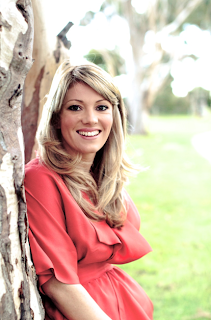 Natalie is a doctor of Traditional Chinese Medicine and a natural fertility specialist living in Australia. As we got to emailing back and forth I realized that this connection could not have been made at a better time. I enlisted her help to write a post for all those ladies out there who have baby-on-the-brain, and perhaps are looking for a little advice on how to prepare the body for just such an undertaking. Natalie believes that the diet is the best place to begin, naturally. Enhancing fertility can be confusing – there are so many different do’s and don’ts to deal with, you would be forgiven for popping it in the all “too hard” basket. I believe it is important to begin with the basics and to pare things down – so I am sharing with you my top five fertile foods. These are not just a great boost to your health but also to reproductive function – after all, food is the best medicine! The recipe for good health and healthy fertility is really simple. It is simplicity. It is about keeping it basic. Basic works. Fats are high on the list for fertile eating. Be aware here, we are talking good fats found from plants and fish (and eggs), certainly not the variety you find in refined and fried foods are your local donut stand. Never be afraid of good fats in your diet. There are many essential properties found in foods such as avocado, olive oil and nuts. Remember – low fat is out – it’s nutritionally ‘empty’. This means all that “low fat” achieves is you wanting something ‘more’ to fill the gap because it is filled with sugar to make up for the fat taken out. Avocados are brilliant sources of good fats. Today’s research shows that when a woman eats one avocado a week, it balances hormones, sheds unwanted birth weight, and prevents cervical cancers. And how profound is this fact? It takes exactly nine months to grow an avocado from blossom to ripened fruit – not just a pretty fruit, but a lovely symbol of fertility and gestation. For a My New Roots recipe using avocados, click here. Protein is a key element when it comes to pumping up fertility. For this reason, I’m a huge fan of the egg. They are the complete fertile food; high in omega 3’s, folic acid, B vitamins, iron, calcium, potassium – the list goes on. Like many foods, quality is super important and free range organic is my first choice where possible. Need a vegan option? Pack in the protein from every source possible – nuts, grains (such as millet), and legumes are all great sources and contain some protein. For boosting fertility, the protein game is all about adding up the numbers. 90gms of protein per day is recommended for optimal fertility. For a My New Roots recipe using eggs, click here. Figs are also full of fertile goodness. They are full of seeds and hang in twos when they grow – just like… you guessed it, testicles. Figs increase the mobility of male sperm and increase the numbers too. This means this magic; luscious fruit helps to overcome male sterility. Figs are historically known as an aphrodisiac too – and feeling like lovin’ does just as much for fertility levels as all the eating well in the world! For a My New Roots recipe using figs, click here. We’ve already beaten the drum of how great fats are for fertility – and olives provide this and then some. They are a great remedy for inflammation, are high in anti-oxidants and help prevent cancer. They truly are wonderful. How is this good for fertility? Cells are changed by stress – and so adding olives to your plate is useful to assist in maintaining a healthy reproductive environment and nourishing the reproductive organs. You’re body is super clever – stress will absolutely lower fertility, and so adding foods to help our body work well and cope better with stress is essential in our busy lives. When we fail to do this, the body simply shuts down and becomes infertile. For a My New Roots recipe using olives, click here. Good quality filtered water is a must. By increasing fluid intake, you are not only flushing toxins through your body everyday, but by keeping your body well hydrated, you are also helping to create more cervical mucus essential for fertilization. Without fertile mucus, the sperm will not be nourished and fed, nor will they reach the egg. This is equally important when it comes for men creating great seminal fluid. A balanced and wholesome diet is essential for great health. This includes a great range of colourful fruit and veggies, whole-grains, legumes and protein. There are specific qualities that certain veggies contain, that can help to treat menstrual irregularities and hormone imbalances. By increasing your intake and variety of fresh produce, you will do your health and fertility big favors. By being aware of what you’re nourishing your body with, you are setting yourself up for a happy and healthy pregnancy. The one thing that surprised me in Natalie’s article was the high amount of protein that she suggested was optimal for increasing fertility. 90 grams?! I get about half that a day, which is right on the money for a woman of my weight. I can’t imagine doubling that amount every day – I’d have to eat…double the food? Never one to shy away from another bowl of lentil soup, Natalie says that if you break it down into meals and snacks, it’s really do-able. Aim for 20 grams of protein at each meal, and 10 grams for snacks. What does that look like? Well, a cup of cooked lentils runs about 18 grams, plus a cup of cooked quinoa is 8 – right there is 26 grams in one meal. Not bad! Throw in a hemp protein smoothie for breakfast, a handful of almonds for a snack, some broccoli and spinach salad…it adds up pretty quickly. I suppose the hard part is being aware and making that much more of an effort. If any of you have other questions for Natalie regarding her guidelines, ask in the comment section and she will answer them there. Thank you Natalie for the wonderful advice! Doctor of Chinese Medicine and Acupuncturist, Natalie Kringoudis is a Natural Fertility Specialist. Her website ‘Fertile Body Heart and Soul’ (www.melbournenaturalfertility.com.au) provides interesting, enjoyable and honest information on fertility and natural medicine . Although based in Melbourne, Australia, Natalie is committed to ensuring that information about health and fertility care is accessible to couples world wide. Natalie is the owner of The Pagoda Tree (www.thepagodatree.com.au) – Melbourne’s home of Women’s Health, Traditional Chinese Medicine and Alternative Therapies. She provides care with a positive, carling attitude and wholesome approach. Natalie supports couples through their fertility challenges, including natural fertility as well as assisted conception and IVF. She is currently pregnant with her second child, and understand the importance of an integrated approach to health. She advocates food as a wonderful therapeutic tool. Natalie is a lover of natural health and living. After reading reviews about fertilemd supplement and struggling with fertility I have decided to give this a shot. Hello, everyone, I was here few months ago, searching for a fertility spell that can help me get pregnant after 6year of my marriage without a child. I got the contact of the herbal dr called Dr zadzad, I contacted him for a fertility spell to help me get pregnant, at first I was hesitant as I have tried so many things but to no avail. I decided to give him a try, and behold, he cast a fertility spell for me within my next month window, I discovered I was pregnant. Today I am having my own baby and my family is united and happy again. All thanks goes to Dr zadzad. For helping me out. I want to use this medium to recommend him to anyone seeking for fertility help or ex back to quickly contact him via his email zadzadokenevue@gmail.com I am very sure he will help you too. Thanks again Dr zadzad. link on your page at appropriate plkɑce and other person will also do similar for you. my name is Charlene Jackson, I am hear to give testimony of how i got back my husband, we got married for more than 9 years and have gotten two kids. thing were going well with us and we are always happy. until one day my husband started to behave in a way i could not understand, i was very confused by the way he treat me and the kids. later that month he did not come home again and he called me that he want a divorce, i asked him what have i done wrong to deserve this from him, all he was saying is that he want a divorce that he hate me and do not want to see me again in his life, i was mad and also frustrated do not know what to do,i was sick for more than 2 weeks because of the divorce. i love him so much he was everything to me without him my life is incomplete. i told my sister and she told me to contact a spell caster, i never believe in all this spell casting of a thing. i just want to try if something will come out of it. i contacted THE GREAT INDIA SPIRITUALIST spell for the return of my husband to me, they told me that my husband have been taken by another woman, that she cast a spell on him that is why he hate me and also want us to divorce. then they told me that they have to cast a spell on him that will make him return to me and the kids, they cast the spell and after 1 week my husband called me and he told me that i should forgive him, he started to apologize on phone and said that he still live me that he did not know what happen to him that he left me. it was the spell that he THE GREAT INDIA SPIRITUALIST spell cast on him that make him comeback to me today,me and my family are now happy again today. thank you THE GREAT INDIA SPIRITUALIST spell for what you have done for me i would have been nothing today if not for your great spell. i want you my friends who are passing through all this kind of love problem of getting back their husband, wife , or ex boyfriend and girlfriend to contact VIA EMAIL: indiavoodootemple@hotmail.com and you will see that your problem will be solved without any delay. thank you so much for the post, i am encouraged now that i dont have to depend on drugs to correct my hormones. Some in fact attractive communication , fine in print and commonly user friendly . Definitely good for the health! Great advice re these foods for health in general; wished I lived in Cal where avocados are everywhere; luckily, I love love love figs! Do you have a gluten free recipe or two I might be able to share on my site — esp. the choco/black bean/cranberry cookies? I would of course write a brief line about your site when I share the recipe (with full credit, of course). I assume that your recipes are all your own creation? If you can provide a photo, great; otherwise, I’ll provide a good one, photos need to be fairly small jpegs . . .
My site? http://www.glutenfreesafari.com/. Input welcome; I’m tweaking all the time! Don’t forget about folic acid! Women need at least 0.4g daily to prevent neural tube defects (spina bifida and anencephaly). If you don’t want to take supplements or eat fortified cereals, you have to load up on green leafy vegetables and legumes (avocado and eggs have small amounts too). Jen – have you had any acupuncture? I find this works brilliantly. Otherwise, in the clinic I prescribe a specific formula – which differs from individual to individual. Diet is also a huge fact, which I’m sure you are well aware. This is great to know. I have another question for you – do you have any recommendations for natural fibromyalgia treatment? My rhumatologist recently prescribed amitriptyline (which is actually an anti-depressant) and I don’t want to take it! I don’t want it to mess anything up if we want to have more children. I know it’s off topic, I just was hoping you had some suggestions. taye – it’s great if you can get a filter that helps maintain essential minerals and vitamins – the pi filters are brilliant. dishedup – you are correct! Soy can be wonderful – so long as it isn’t over processed and it’s properties become nasty. For this reason Japanese women are ok with soy products and fermented products as they haven’t been destroyed in the processing events that occur in many conventional soy products. So keeping that in mind, tofu and soy beans as whole foods are fine. Everything in moderation and balance is the key. Having 1 serve per day is ok.
Sarah AND Nat – My two favourite girls in the one place? GETOUT! (Hi Nat!!). Awesome post, as always. Not quite awesome enough for me to want to go a third time though! Ha! i only just subscribed to your blog last week having found it thru sarah wilson’s blog and i love it! keep it up! Hey! Great post! Do you have any recommendations for good water filters? Kate – there has been some significant research into what has been named ‘the fertility diet’ to find out if it indeed improves fertility. What was found was that those who followed a diet high in quality protein, fatty acids, iron and adequate vitamins are less likely to have ovulatory issues, have maintained insulin levels and therefore appear to more fertile in comparison. This specific research was preformed by Lauire Barclay, in 2007. It was reported in the November issue of Obstetrics and Gynaecology. The Journal of Fertility and Sterility also is a useful source if you are interested. The British Journal of sports published a study in 2006 showing the significant impact avocado has on hormones. Andrew Cate also talks about this in her book – published just this year. I have plenty of resources if you want more on this – I can get it to you. Sonja – that’s difficult for me to say without physically seeing you, however you can increase plant based protein also to achieve a positive effect on your fertility. For patients who are vegetarian, and present with hormonal imbalances including PCOS this can be useful but it isn’t a one size fits all – and we like to try and work out what works best for the couple. Thank you for this post! This is very timely for my husband and I as well. We’ve had many people tell us I should think about introducing meat/fish into my diet if and when I become pregnant. Do you recommend small amounts while attempting to become / being pregnant, or is it sufficient to continue with my vegetarian diet (as long as I get enough protein)? Thanks so much! Where is the research supporting 90 grams of protein a day? It seems like an awfully high amount, and you haven’t provided any solid, peer-reviewed evidence to support this. I’m just wondering where the scientific data is to support all this. I think this was an interesting read, and overall these are healthy things we can all benefit from, but I think it’s important to back it up with sources for sound scientific research if it’s going to be touted as having data to prove it. I like your post very much! …and I do agree that food can influence the fertility. I was trying to get pregnant for five years. Three months after I did some serious body-detox and stopped eating meat I got pregnant. Now I am the happiest Mom of a healthy babyboy! There is another very important thing for the health of your future baby: folic acids (which you can find in broccoli, oats…) It worked well with us!!!! Fantastic post. I am from Melbourne and my partner and I are thinking babies soon. I may have to pay Natalie a visit to find out more! tea – you’re spot on! regulating hormones is important not only physically but mentally. Avocado is the bomb! Good Babe – essentially all our hormones are made from fats and protein – this is why increasing both works. Like I said, I get that this isn’t everybody’s ideal way of eating but for a therapeutic effect, we know that 90 grams meets these requirements. It’s actually not that much when you add it up – and I absolutely agree – greens and other veggies are also vital. I am also very interested in the theory behind the protein – I see that it wouldn’t be hard to get the 90 grams – but that would logically mean less greens and other vegetables in your diet – because you would be too full. Not sure if I agree with this advice! I loved the info on the avacado! I have struggled with infertility for over 8 years, and given up on having a baby, but I do believe my hormones are at least a little out of balance. I love avacado, so this gives me a good reason to eat more of them. Hopefully it will help me get balanced out. Thanks for sharing this! Phoo-d – we know that a diet high in refined carbohydrates may increase insulin levels which can not only lead to weight gain (also an issue when fertility comes into it) but also have an affect on hormone regulation. However, adequate protein intake from the beginning of the day we ensure that the bodies sugar levels are kept fairly even. Our gut is the pivot of health – by keeping it happy, everything else is more likely to follow in it’s direction. We know that underweight women ovulate more regularly (but are not necessarily fertile) and overweight women ovulate less. By keeping weight within normal ranges helps to increase fertility also for this reason. Same goes for men, those who are overweight will have poorer quality sperm due to less prostatic fluid being produced and decreasing the sperm count. Heidi – there is plenty of information on the site – a specific article on the exact veggies that regulate menstrual cycles is something I might actually aim to do over the next few days because it’s a great idea. So interesting.I’m sharing the link on my blog: dhperezfamily.blogspot. Question: What are those veggies that help regulate your menstral cycle and hormones? Is that topic addressed on the fertility site? Thank you very much for this post. Can you explain a little further why the high protein helps? Also I would love to hear any further tips you may have for women with pcos. Jessica! Good question. I’m not a huge fan of supplementing however our soils aren’t what they used to be and consequently, our foods are not as nutritionally packed as they should be. For men, it’s all about Vitamin E and Zinc. For women I use a practitioner grade multi-vitamin (it’s ALL about the quality) as well as quality Omega’s to support fertility. Laina – women with PCOS will greatly benefit from adding extra protein to their diet. Another great protein-packed snack is a hard boiled egg. I usually cook several at a time and store in the fridge. Perfect to bring along as a snack for both me and my munchkin. What a wonderful post! My husband and I are going to a fertility clinic in Skive, and have been trying to conceive for over a year. I have PCOS which tends to make things more difficult difficult. So awesome. This is the stage of life my hubby and I are in right now, and it doesn’t happen as quick as expected. My question is are there any supplements that are a must – that may help to conceive? Thank you, Sarah for sharing this post – so important and timely as well! I am also very grateful you are suggesting mostly plant-based proteins to reach the daily protein goals.